The TCAR procedure is performed through a small incision at the neckline just above the clavicle. The surgeon places a tube directly into the carotid artery and connects it to a system that will direct blood flow away from the brain to protect against plaque that may come loose reaching the brain. Blood will flow through the system, and any material will be captured in a filter outside the body. Filtered blood will then be returned through a second tube in the groin. 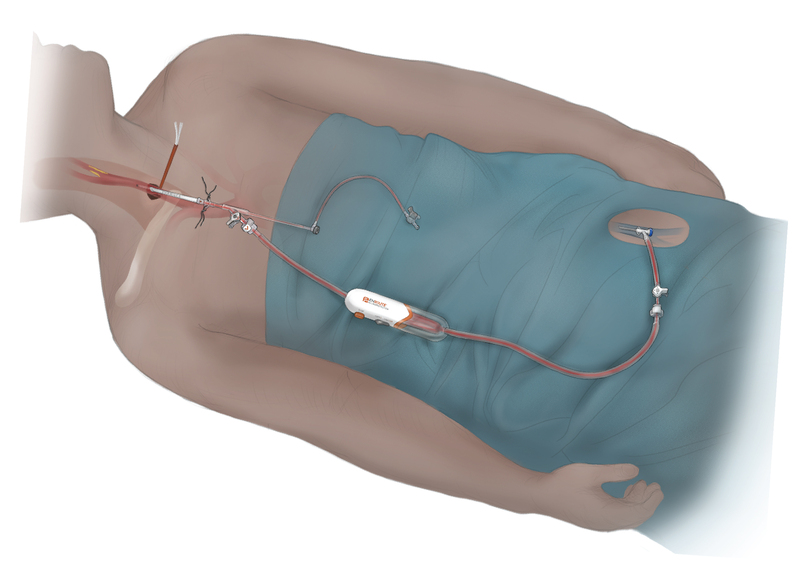 After the stent is placed successfully, flow reversal is turned off, and blood flow resumes in its normal direction. The procedure takes 60-90 minutes. Patients are typically discharged the next day. Dr. Marone and fellow board-certified WVU Heart and Vascular Institute surgeons Sashi Inkollu, M.D., and Eric Shang, M.D., are all TCAR certified and are the only surgeons in north central West Virginia and the surrounding region offering the procedure. For more information on the WVU Heart and Vascular Institute, visit www.wvumedicine.org/heart.